That was the page-one headline the New York Times ran on April 20, 2017, above its breathless report that “a catalyst for the F.B.I. investigation into connections between Russia and President Trump’s campaign” was a June 2016 visit to Moscow by Carter Page. You’re to be forgiven if you’re feeling dizzy. Well, it turns out the Page angle and thus the collusion narrative itself is beset by an Obama-administration scandal: Slowly but surely, it has emerged that the Justice Department and FBI very likely targeted Page because of the Steele dossier, a Clinton-campaign opposition-research screed disguised as intelligence reporting. Increasingly, it appears that the Bureau failed to verify Steele’s allegations before the DOJ used some of them to bolster an application for a spying warrant from the FISA court (i.e., the Foreign Intelligence Surveillance Court). Thanks to the persistence of the House Intelligence Committee led by Chairman Devin Nunes (R., Calif.), the dossier story won’t go away. Thus, Democrats and their media friends have been moving the goal posts in an effort to save their collusion narrative. First, we were led to believe the dossier was no big deal because the FBI would surely have corroborated any information before the DOJ fed it to a federal judge in a warrant application. Then, when the Clinton campaign’s role in commissioning the dossier came to light, we were told it was impertinent to ask about what the FBI did, if anything, to corroborate it since this could imperil intelligence methods and sources — and, besides, such questions were just a distraction from the all-important Mueller investigation (which the dossier had a hand in instigating and which, to date, has turned up no evidence of a Trump-Russia conspiracy). Lately, the story has morphed into this: Well, even if the dossier was used, it was only used a little — there simply must have been lots of other evidence that Trump was in cahoots with Putin. But that’s not going to fly: Putting aside the dearth of collusion evidence after well over a year of aggressive investigation, the dossier is partisan propaganda. If it was not adequately corroborated by the FBI, and if the Justice Department, without disclosing its provenance to the court, nevertheless relied on any part of it in a FISA application, that is a major problem. To say this story has holes in it does not do justice to the craters on display. To begin with, the Times admits that “exactly how much Mr. Papadopoulos said” to Downer “is unclear.” What we are dealing with here is sheer supposition. And, it appears, flawed supposition. But the hacked emails that were published were not Clinton’s emails; they were those of the DNC and John Podesta — exceedingly few of which Clinton was even included on, much less participated in. Given the amount of misinformation the credulous Papadopoulos was given (one of his interlocutors falsely posed as Putin’s niece), the likelihood is that he was being toyed with. Remember, there was much speculation at the time, including by Trump himself, that the Russians (and other foreign intelligence services) might have hacked former secretary Clinton’s unsecure private server and obtained the 30,000-plus emails that she refused to surrender to the State Department. [I]t is probable that these were the emails Papadopoulos’s dubious Russian connections purported to be dangling. There is no evidence that Papadopoulos or the Trump campaign was ever shown or given any of the emails the Kremlin purportedly had. The evidence, in fact, undermines the collusion narrative: If the Trump campaign had to learn, through Papadopoulos, that Russia supposedly had thousands of emails damaging to Clinton, that would necessarily mean the Trump campaign had nothing to do with Russia’s acquisition of the emails. This, no doubt, is why Mueller permitted Papadopoulos to plead guilty to a mere process crime — lying in an FBI interview. If there were evidence of an actual collusion conspiracy, Papadopoulos would have been pressured to admit guilt to it. He wasn’t. 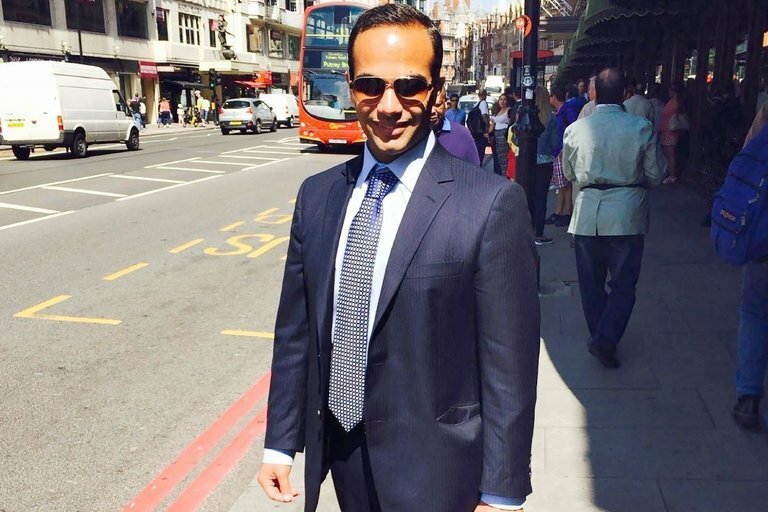 Even a cursory FBI investigation of Papadopoulos would have illustrated how implausible it was that he could have been integral to a Trump-Russia plot. Anonymous intelligence and law-enforcement officials have been leaking collusion information to the Times and other media outlets since before Trump won the November 2016 election — that’s why we’ve spent the last year-plus hearing all about Page, Manafort, Flynn, et al. If Papadopoulos had really been the impetus for the investigation way back in July 2016, what are the chances that we would never have heard his name mentioned until after his guilty plea was announced 15 months later? What are the chances that we’d only now be learning that he was the real stimulus for the investigation? I’d put it at less than none. There’s another interesting word that does not appear in the Times’ extensive Papadopoulos report: surveillance. Despite being “so alarmed” by young Papadopoulos’s barroom braggadocio with the Australian diplomat, and his claimed Russia connections, there is no indication that the Obama Justice Department and FBI ever sought a FISA-court warrant to spy on him.